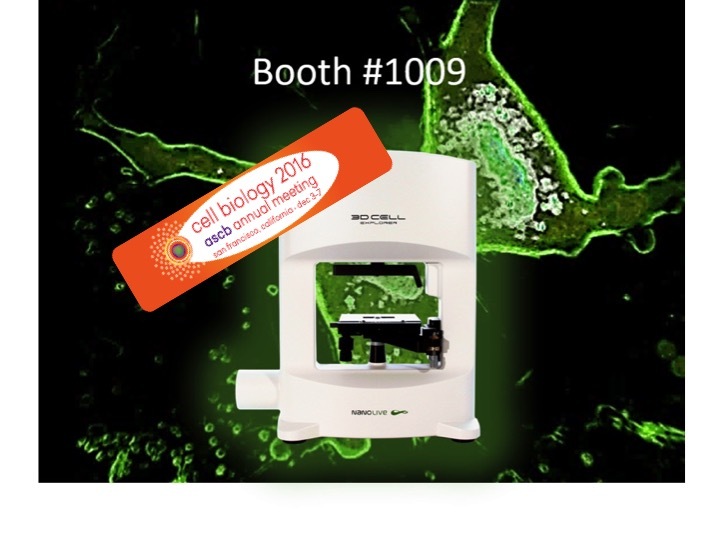 Nanolive will be attending #ASCB16, the cell biology annual meeting in San Francisco, from December 3rd to 7th. Come to Moscone Center and visit Booth #1009 for an extraordinary live cell experience. Do not miss our tech talk on Monday 5th, 3:00pm Theater 1: CEO Yann Cotte, PhD will make a stunning announcement. Be the first to know! If you are in the Bay area, feel free to contact us, we will be happy to meet up!